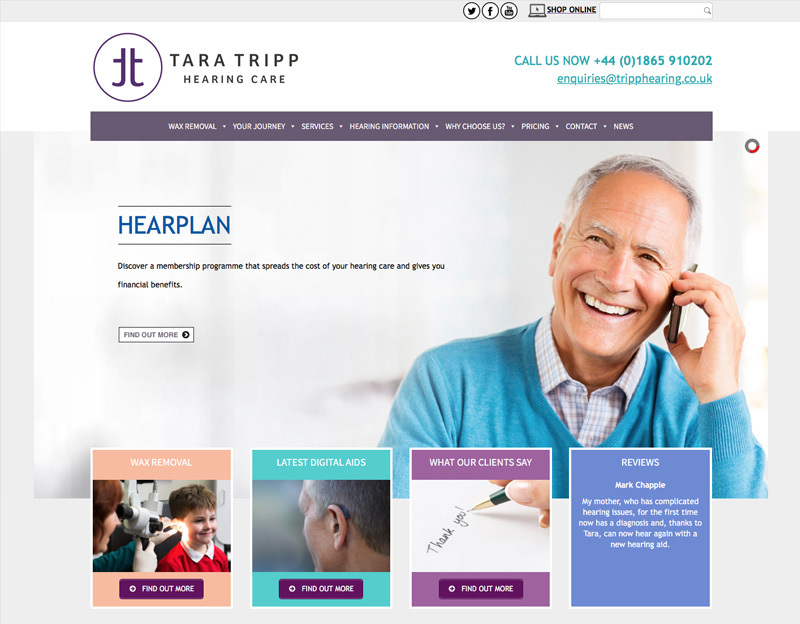 Tara Tripp Hearing Care are an Oxford company who offer private hearing tests, hearing aids and wax removal. This is the second site I have done for them. The new site being mobile friendly, more dynamic and incorporating an online shop. Built in WordPress for ease of updating.